Yoga doesn't change you, it takes you back to where you once were. Sign-in & Register to pay for classes online. Your online account will allow you to purchase classes conveniently & reserve your spot before you arrive! With a variety of classes & instructors at affordable rates, whether you're a beginner or long time yogi, we have a class to bring you back in alignment! Begin your journey today with classes that work around a busy schedule. Open 7 days a week, we offer morning & evening classes for your convenience. Meet us at the Mat. Our inviting environment provides professional instruction and memorable experiences. Additional services include Private Massage, Group Sessions, One-One Instruction, Events, Workshops and TRX Training to empower & restore the whole body. We are your family, friends and community. Our goal is to provide the best tools to make changes in mind, body & spirit. Find what makes us so special! Make your body your machine! TRX resistance training uses ropes and full body strength, to engage the core and get you in the best shape of your life. Amongst our full schedule of classes, checkout our list of events & workshops. From musical performances to technique seminars, our studio offers energizing after-class activities. Whether you train in an athletic group, need private instruction to overcome an injury or simply desire a therapeutic session, we have the hands on approach that's right for you. 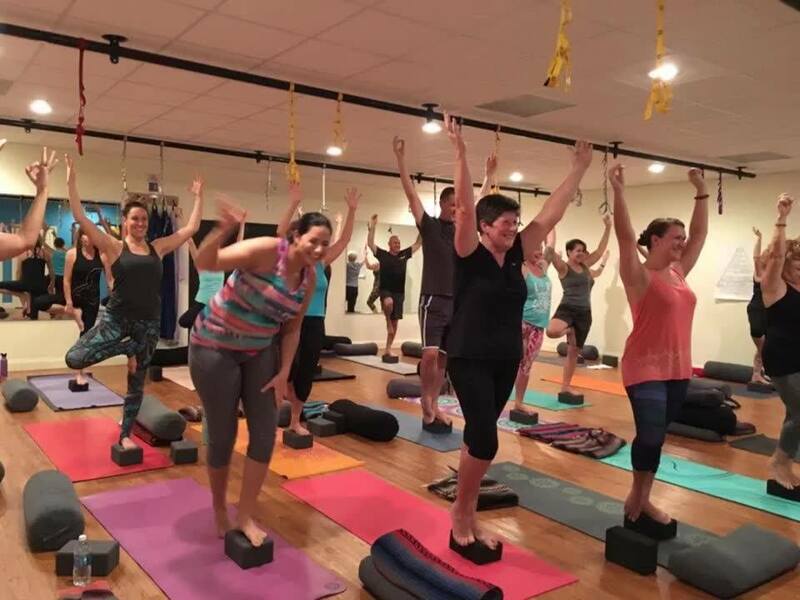 Located in the beautiful city of hills, Clermont FL, One Yoga serves every age and fitness level. Our studio is proud to create meaningful experiences with our community and promotes a message of health & harmony for all. You can find laughter filling the studio in our Soulful Sunday Class, or sweat dripping in detoxifying layers during Hot Hatha sessions. Our welcoming atmosphere provides a safe haven to care for your body. Focusing on the student as a whole, our studio is dedicated to helping you get the most out of your yoga. With warmed classes providing cleansing effects with the use of Far Infrared Technology, our certified instructors engage you in postures all week long. Ample parking, free Wi-Fi & lounge area are a few of the many new accommodations our expanded space will provide. When it comes to your well-being, nothing is overlooked. In the end you are your own guru-your life is your guru. As you need them, special individuals may appear to help you find the road that leads to the road. But these are not your only teachers. Everything that happens to you is your teacher. The secret is to learn to sit at the feet of your own life and be taught by it. Our teachers know Yoga is not about touching your toes, it is about what you learn on the way down. Our certified instructors are knowledgeable and experienced in the technique and philosophy behind the practice. Sincere but never boring, our family is what makes One Yoga so special.